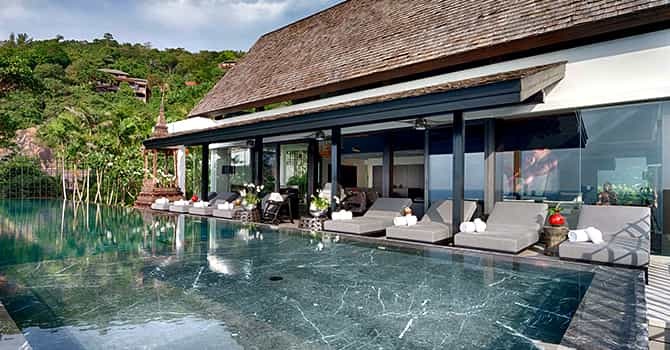 Villa Yin is a 5 bedroom tropical estate on Kamala's headland, on a spectacular half-acre site on the cliff-edge. The villa offers an 18m infinity pool, jacuzzi, sauna, massage sala and cinema room. The main living & dining pavilion is large, light and airy, with high ceilings and different spaces to socialise and relax. Directly in front & just a few steps away is the row of sun loungers bordering the private infinity pool. Beside the pool deck is an outdoor massage sala and nestled in it’s own enclave to the side is an alfresco dining area with barbecue station and panoramic views all around. 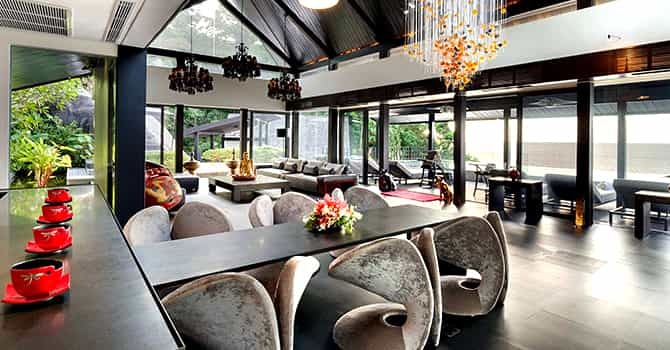 Beyond it's architectural inspirations, the villa's interior designer included 14th and 15th century Thai buddhas, aswell as modern works by Xiu Ciu Wen, David LaChapelle & Andy Warhol. The personal touches are plenty and, beyond the visual, extend to the impeccable service from the experienced staff. The villa has a state-of-the-art European kitchen and an impressive chef cooking 5-star culinary delights for breakfast, lunch, and dinner. 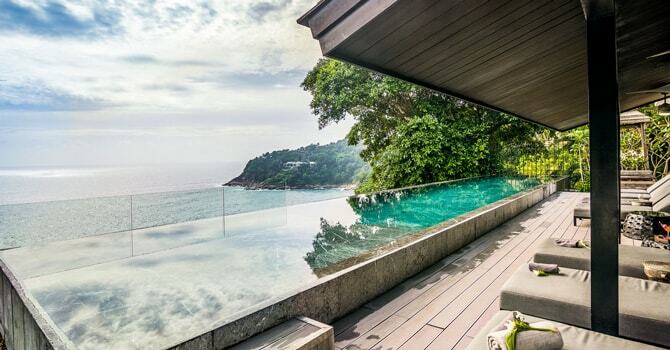 Nearby you will find some of Phuket’s best restaurants, ranging from Japanese to French, only a short distance away. As is Kamala beach. 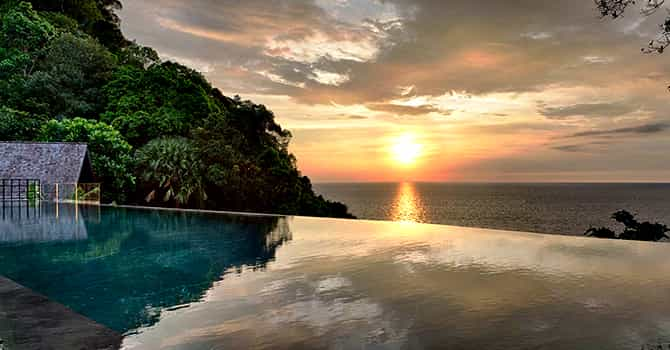 The villa is made up of five traditional thai-style pavillions, each of which are connected by footpaths, with a private stairwell leading to a natural shallow swimming enclave. There are four bedrooms with en-suite facilities, plus deck access with stunning sea views. The fifth king bedroom shares a bathroom with private jacuzzi. "Fascinating villa with fantastic staff team"
Having studied the photos on various websites I wasn't sure what to expect at Villa Yin, unconvinced that the interiors were going to be to my taste, but I absolutely loved the place! Yin was a feast for the eyes and for the stomach, and has the most wonderful atmosphere of fun and warmth.